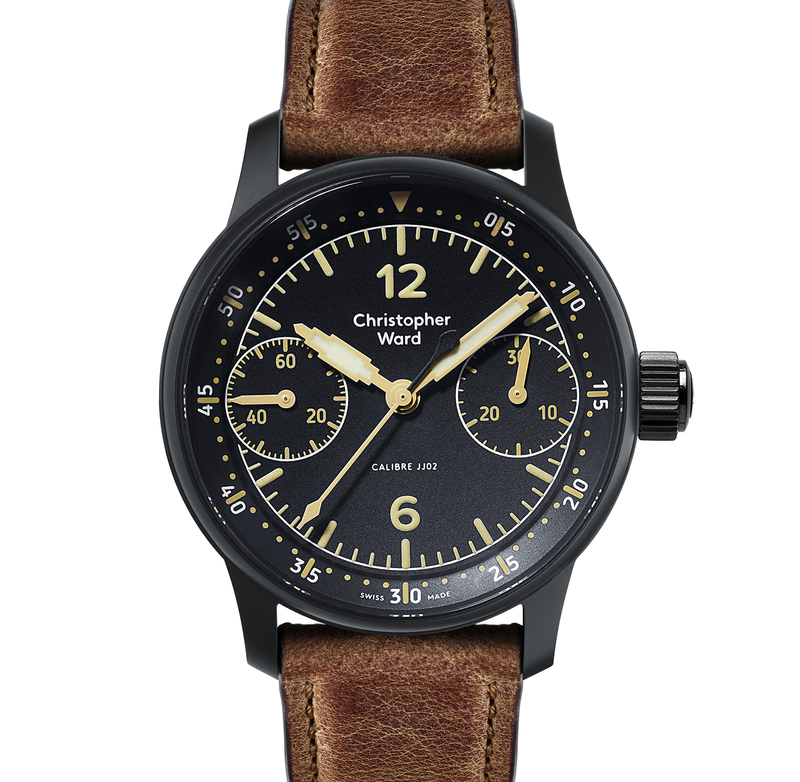 Christopher Ward, one of the British origin brands of the watchmaking industry, introduced its latest model C9 Me 109 Single Pusher Chronograph which is inspired by the early years of aviation. The new model attracts attention with its in-house single pusher chronograph movement and affordable price tag. The boutique brand’s new model C9 Me 109 Single Pusher Chronograph is based on the Junghans Bo-Uk-I cockpit clock used on WWII era military aircrafts. Normally, the brand’s creations are mostly inspired by the vintage pilot watches of British Royal Air Force. However, C9 Me 109 does not follow this pattern. The co-founder of the brand comes across a Messerschmitt Bf 109, which is arguably the most popular aircraft of the Luftwaffe (World War II era German Air Force), and notices the Junghans Bo-Uk-I mounted on its cockpit and decides to design a new model inspired by that clock. That’s how the model’s name emerged. Interestingly, the similarity between the new model and its inspiration is not limited to aesthetics. 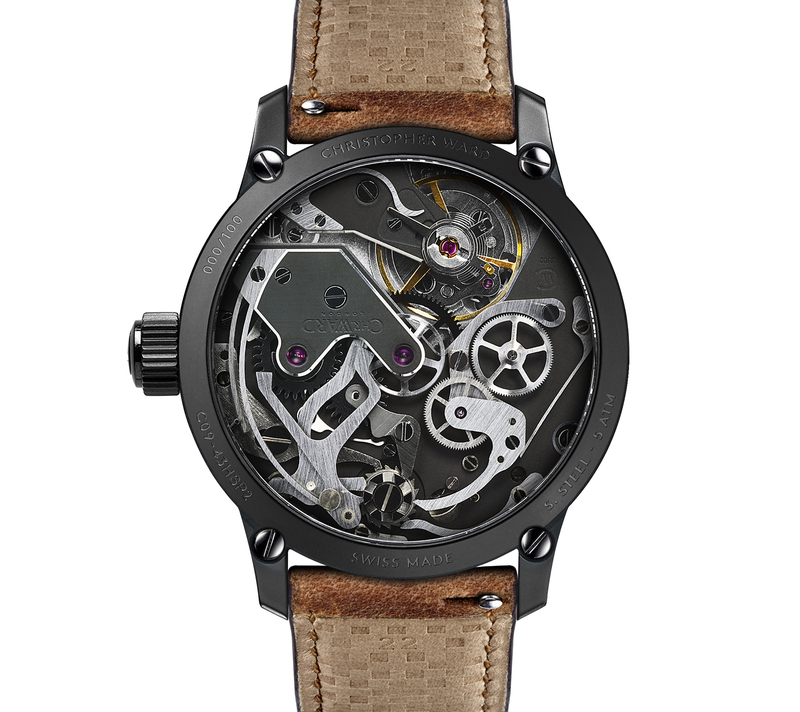 The Junghans Bo-Uk-I founded on the Messerschmitt Bf 109’s cockpit was powered by a manual winding movement which seemed like an old version of the famous Unitas 6497. Christopher Ward, who did not skip such a detail like that, designed a hand-wound movement with a column-wheel chronograph module that can be operated with a single pusher winding crown. The new caliber is added to the product line of the brand with the reference “JJ02” and partially black DLC coated to match with the overall black theme. Just like the vintage cockpit clock, C9 Me 109 is also offered in a black case. Measuring 43mm in diameter, the stainless steel case is black DLC coated and equipped with scratch resistant sapphire crystals on both sides. The case features a big crown with embedded pusher for operating the chronograph functions as start/stop/reset. The new model’s dial is finished in black. The Bi-Compax chronograph lay-out dial is accompanied with Arabic numeral hour marker at 12 and 6. The rest of the indices and the hands are designed in baton style with darker SuperLuminova phosphorus material fillings to match with the retro concept of the model. Christopher Ward C9 Me 109 Single Pusher Chronograph comes on an aged brown calf leather strap accompanied with a black DLC coated stainless steel pin buckle. The MSRP for the model is € 3,370.